You want to swing your clubs during the indoor season. Keep your swing going from the season or even try to figure out So you have the desire to swing the clubs during the indoor season. Private golf lessons is the most popular option for most golfers. 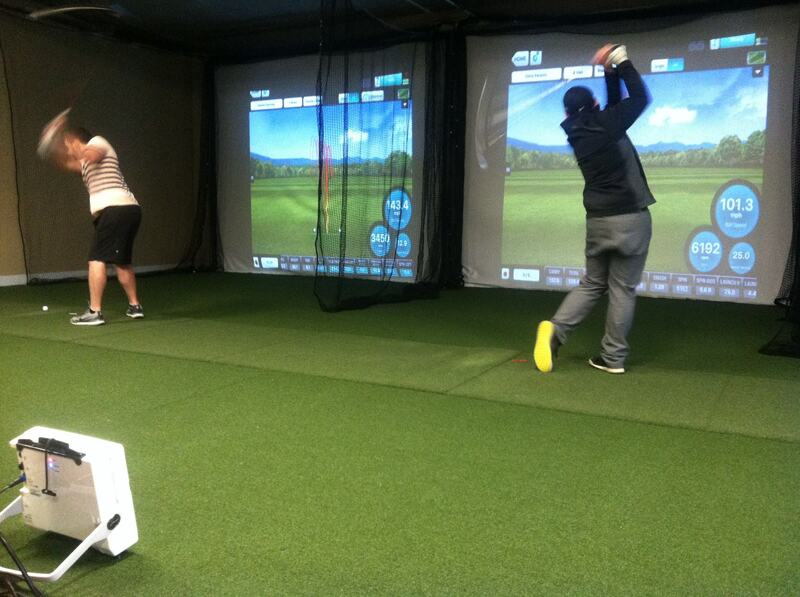 At Performance Golf London’s indoor location, you will get to know the entire ball flight. You are not hitting balls into a net 40 yards away. A net 40 yards away will not allow you to see the ball flight. Therefore, you are guessing how the ball would fly. At Performance Golf London, each ball striking station has a Flightscope radar that will tell you exactly what the club did to the ball, the height the ball flew, how much the ball curved and how far you hit the ball. For each and every shot. You can really understand your pattern. Each indoor range range session is 55 minutes in length. You can hit any club in your bag – from a short pitch shot to hitting your driver. You can hit shots early in the morning, sneak out of work during the day, after work or during your weekend. The best option and most popular is our PRACTICE MEMBERSHIP – you receive better pricing and have advanced booking options. So you can plan your practice times into your schedule. The PRACTICE MEMBERSHIP has a monthly cost of $88 and you receive 4 practice sessions that can booked over the 30 day period. We do allow non-members to use our facility. We have a public PAY AS YOU GO option – $30 per session. Or try and sneak in for a LAST MINUTE practice session for $23. Do not spend the winter hitting shots and guessing how the ball flew or how far the ball went. Your game deserves knowing what the ball did and how far it went.